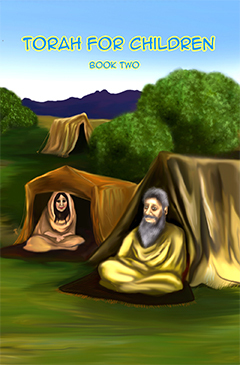 The second book in this series contains 152 pages and is now available and includes content of the life of Abraham. It covers Genesis/Bereshith 11 to 24. This book include short extracts from Scripture, simplified for children's comprehension, followed by either questions, puzzles, colouring pictures, activities, quizzes or many other activities, that will keep your children occupied and will stimulate their knowledge of Torah. The content of this second book is very similar to book 1.